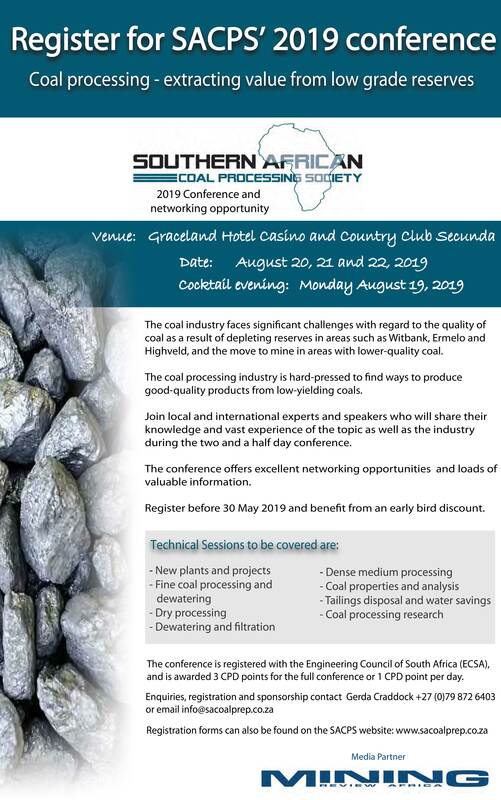 The biennial Technical Workshop will be held from 19 to 22 August 2019 at Graceland Hotel and Casino, Secunda. 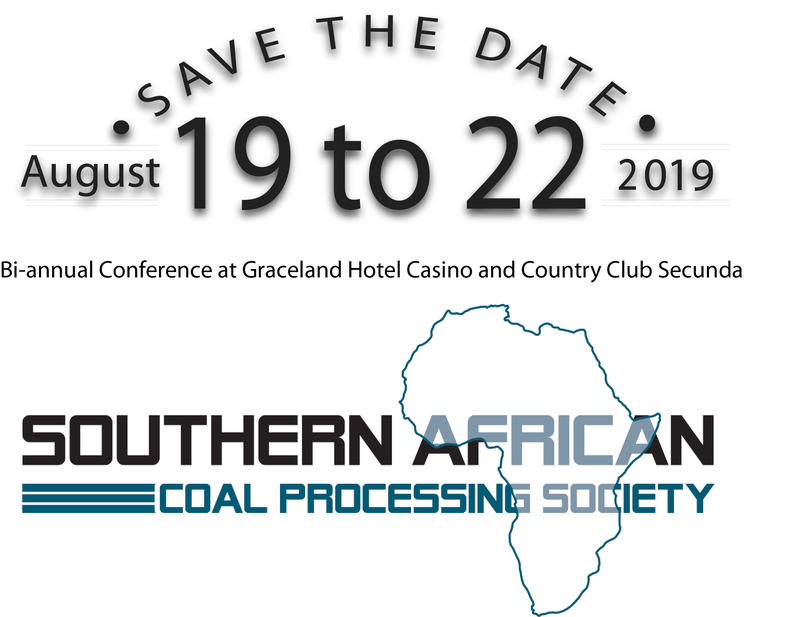 Please save the date. More details to follow. 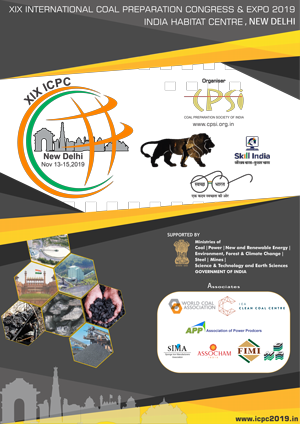 The coal processing industry is hard-pressed to find ways to produce good-quality products from low-yielding coals. 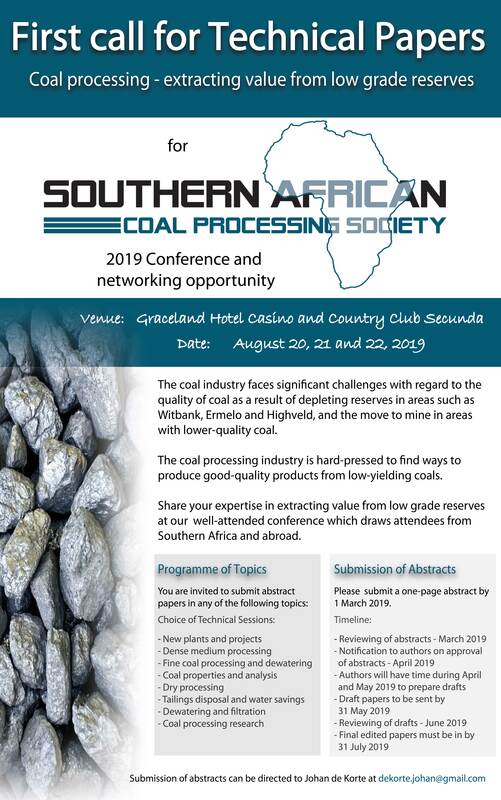 Share your expertise in extracting value from low grade reserves at our well-attended conference which draws attendees from Southern Africa and abroad. 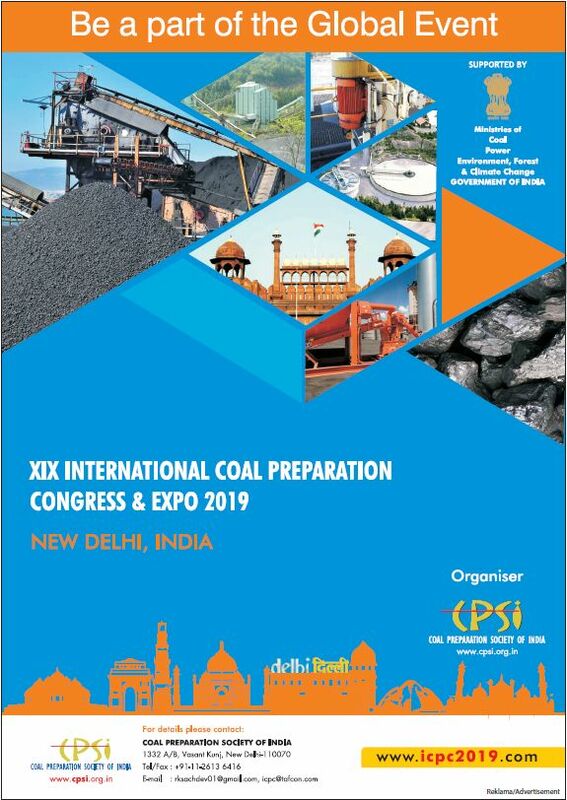 The 19th International Coal Preparation Congress will take place in New Delhi, India from 13 – 15 November 2019. 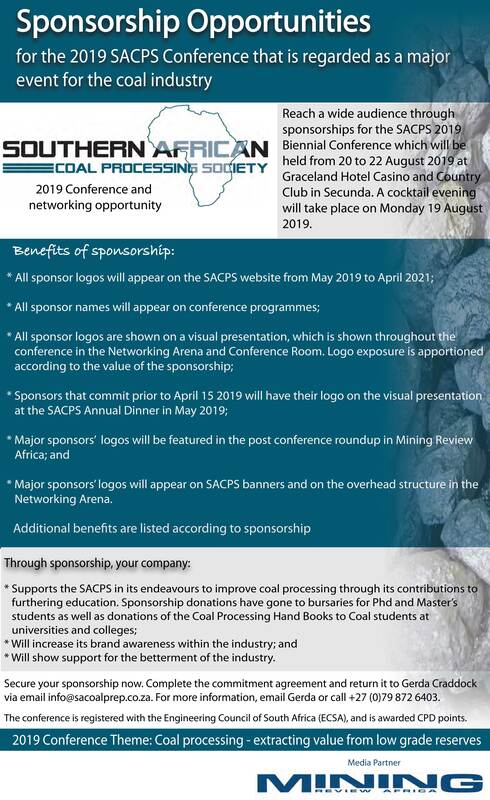 Details of the conference and the call for papers can be downloaded here.